It’s the most special holiday you’ll ever take together and we’re here to make it perfect. Tropical Sky can recommend some of the world’s most inspiring all inclusive wedding destinations for you and your partner. We have a range of all-inclusive 3 tiered wedding packages including everything you will need for the perfect wedding that help you stay within your budget including many packages that cater for your guests too. Your food, drink and pretty much everything else is already paid for, meaning you can enjoy the facilities, soak up the atmosphere and leave your worries behind. 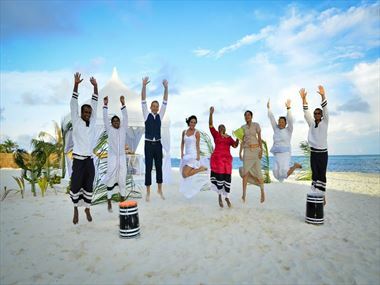 With an overwhelming choice of wedding venues in the Caribbean, Indian Ocean & Africa, where will you choose? Encounter new experiences and marvel at your freedom to relax and be pampered together, on this incredible holiday of a lifetime. 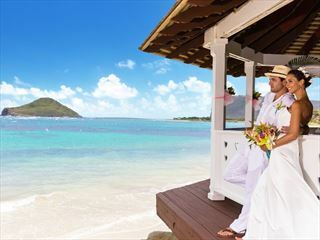 Take a look below at some of our favourite all inclusive wedding destinations.